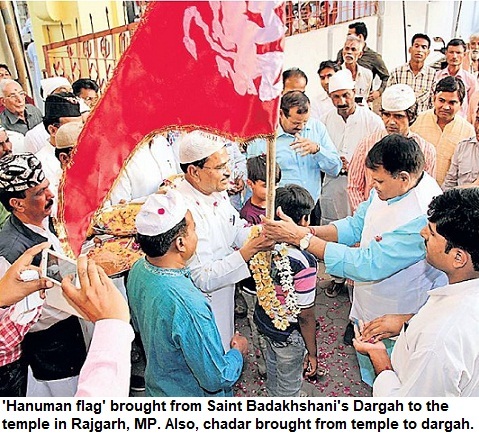 Indscribe's Blog: News and Views about Indian Muslims: Why BJP doesn't like Tipu Sultan, the king who fought British and whom they feared? Why BJP doesn't like Tipu Sultan, the king who fought British and whom they feared? The BJP's bigotry is well-known as far as Tipu Sultan is concerned. They don't like Tipu and there are reasons. But first go back to history, which is very clear. Tipu Sultan fought British and they feared him, this can't be erased from history. Not just Tipu, his father Hyder Ali had also fought Britishers and defeated them. But, even Hyder Ali, is not liked. The reasons don't need to be explained. There were no other figures in contemporary India, then, who dared fight British. 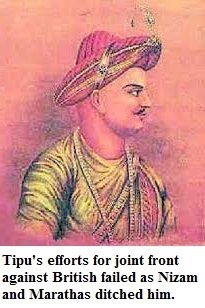 Tipu defeated British and later got martyred in the last Anglo-Mysore war. There are records of communication between Tipu, his persistent efforts to forge unity among Marathas and Nizams, to establish a joint front against the British. Both Marathas and Nizams ditched him. He wrote to Napoleon, be befriended French, did everything possible to evict British. But these aspects have no value for those who simply hate Tipu. Yet, in case of Tipu Sultan, the right-wing 'dig out' out entire history, make an effort to find anything negative just to abuse, even spread falsehoods, to term him and declare him 'anti-Hindu'. Fine, sometime do remember, Shivaji's attacks within the country, plunder of Surat, too. Do talk of other historical figures too who sided with British or your interest in history is limited to targeting a man whom you don't want to accept as a hero. Firstly, Rulers were monarchs and there would be negative aspects to everyone. In modern era, in democracies, leaders can commit genocide, yet be 'nationalist' and 'patriot'. And their followers have the cheek to term Tipu Sultan as 'bigot and committing atrocities'. The point is that Tipu, a Muslim, as first man who rose against British power in India, can't be accepted by Hindutva walas. 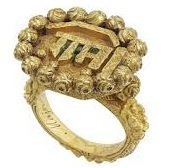 So, even if he had a ring with 'Rama' written on it, or his excellent relations with Sringeri Sankaracharya, lone king of era who didn't compromise with British, and laid his life in the battle--nothing can make him a 'hero' in the eyes of BJP and Sangh Parivar. The 'patriotism' or 'nationalism' certificate is issued by those who are the cheerleaders for the politician who can organise genocide in modern era, in democracies. They have the right to say who is nationalistic and who is 'anti-national'. They can run mis-information campaigns. But the irony for them is that history can't be changed. BJP can't find a 'hero' from 18th century who dared to stand up against East India Company, as there was none other than Tipu Sultan. Tipu Sultan was undoubtedly among the greatest freedom fighters of the country. Senior journalist Dilip C Mandal writes, "The British made a list of the most formidable enemy commanders and it included the names of Napoleon and Tipu Sultan..."
"When Tipu was fighting British, the other native kings had already signed treaties with British. They included kings of Tanjore, Travancore and Peshwa. In the third Anglo-Mysore war, the Marathas and Nizams fought along side British, to form an joint alliance to defeat Tipu". "This was not at all a Hindu-Muslim issue. It is unfortunate that such a glorious heritage--the contribution of Tipu Sultan, is being termed controversial due to foolishness of a section here", Mandal further writes.